Does PMP Certification require memorization? PMP and CAPM aspirants use mnemonics heavily to memorize everything from Process Groups to Knowledge Areas, Process Names to ITTO’s, and much more. According to Dictionary.com, Mnemonics are something intended to assist the memory, as a verse or formula. Most of us have used mnemonics in some form or another, for exams, work, or other purposes. I still remember the mnemonic - B B Roy of Great Britain has a Very Good Wife - that I learned during my engineering degree program more than 15 years ago. 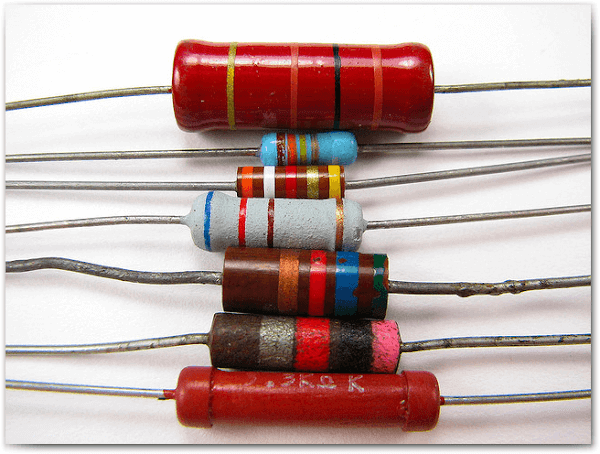 It was used to recall color code sequence for resistors. And who doesn’t remember the acronym (a form of mnemonic) VIBGYOR for the seven colors of the rainbow. In this post, I’m not going to share much information with you. Instead, I’m going to invite you - the readers - to share your favorite mnemonics for PMP and CAPM certification exams. I’ll start by sharing mine that I created for my PMP certification way back in 2007. I’ve kept it secret all these years (I know it sounds selfish). It is 100% original and I bet you’ll not find any reference to it preceding this post. The simple mnemonic that I devised to remember it to mentally associate EV with EVerest, yes Mount EVerest, which is the highest mountain in the world. EVerest is always on top (numerator) in SPI / CPI formulae and comes first in the SV / CV formulae. I think of Level of Effort as Level “off” Effort i.e. to spread out the work. This helps me to better relate to the true meaning of LOE. Before I close, I want to share one small tip related to mnemonics. Mnemonics work best when you create them yourself. Make use of this powerful, handy and time-tested tool to help you memorize or recall practically anything. Over to you now. Go ahead and share your own favorite mnemonics. Keep them coming. I used mnemonics for each domain group......plus kinetic learning method. I repeatedly write down the domain group names. They somehow stayed in my memory for quite a long time. The exam has passed for weeks and I can still recall everything. I'm quite surprised about that! Thanks for sharing your experience, Jo Lynn. I would read up on the Kinetic learning method. What is Kinetic learning method ? Any good example or website address will help. @Naren I found information on Kinesthetic learning but not much on Kinetic learning. Hope someone can throw more light on this topic. This is really brilliant... Hats off to you..
Do you have any more mnemonics related to PMP certification? If yes, can you please share them here? Thank you! I do not have more at this time. I encourage everyone to contribute their favorite mnemonics on this page. Process Groups: Initiating, Planning, Executing, Monitoring/Controlling, Closing. "I picked early May carnations"
Thanks for your contribution, Lauren. Hope others pitch in as well. "Could Popcorn Dry My Cellphone"
Thank you for your contribution, Beth. Hope we get more people to contribute. I spy six cats quickly running circles right past Sam. Danielle - thanks so much for your contribution and enriching this post. Every bit counts. I have a mnemonic that seems very appropriate. Interesting sequence, Michael. It’s very heartening to see the contributions from the community in the last few days. Once the mnemonics get to a sizable mass, I’ll compile them together into a downloadable PDF. Thanks for taking the time to do this. It’s very helpful. Thanks and I’m glad you found it helpful. If you come across other helpful mnemonics, please do contribute.